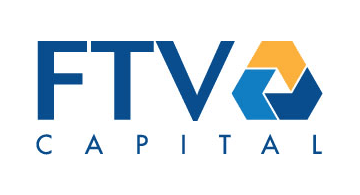 FTV Capital is a growth equity investment firm that has raised over $2.7 billion to invest in high-growth companies offering a range of innovative solutions in three sectors: enterprise technology & services, financial services and payments & transaction processing. FTV’s experienced team leverages its domain expertise and proven track record in each of these sectors to help motivated management teams accelerate growth. FTV also provides companies with access to its Global Partner Network®, a group of the world’s leading enterprises and executives who have helped FTV portfolio companies for two decades. Founded in 1998, FTV Capital has invested in 107 portfolio companies. Notable exits include: CardConnect (acquired by First Data in 2017), CashStar (acquired by Blackhawk Network in 2017), Financial Engines (IPO in 2010, acquired by Hellman & Friedman in 2018), Globant (IPO in 2014, NYSE: GLOB), MarketShare (acquired by Neustar in 2015), MedSynergies (acquired by Optum/UnitedHealthcare in 2014), Mu Sigma (sold to shareholders 2012), PowerShares (acquired by Invesco in 2006), Trustwave (acquired by Singapore Telecom in 2015) and WePay (acquired by JP Morgan Chase in 2017). FTV has offices in San Francisco and New York.